Wendy has written her first novel, The Experiment. This is a purely fiction medical thriller written in response to a challenge to write a novel in November, 2017. It took two months to write, many more to edit and get beta readers. However, this book is NOW available on Amazon, Barnes and Noble and other online retailers. Harper Reed is a young registered nurse who is dealt a blow in life when her fiance' dies just moments before their wedding. Still in a fog of grief, Harper relocates to the small town where they were to start their life together. There Harper uncovers a mystery that could explain her fiance's untimely death. As Harper delves deeper into the dark circumstance behind Jake's death, she comes face to face with her Creator. Trying to fulfill her calling as a nurse, Harper wrestles with helping those in her care and finding healing of her own. Grab this little booklet to capture your family medical history. 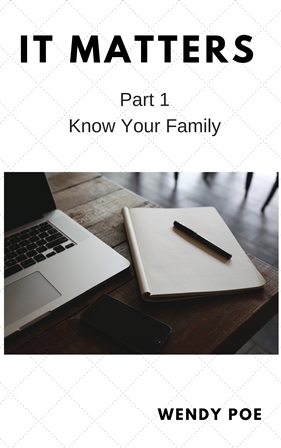 It’s short and to the point and will help you know what you need to know when it comes to your family’s medical history.